Many men know what an aromatase inhibitor is since Arimidex (anastrazole) is now used in so many HRT and fertility clinics. Or, if you've been around athletes or bodybuilders, the subject has very likely come up at one time or another. What most men don't know is that there is a whole new class of aromatase inhibitors called "suicide inhibitors", "permanent aromatase inhibitors" or "irreversible aromatase inhibitors". One of the most famous of these is an FDA-banned compound called 6-OXO that took the bodybuilding world by storm about ten years ago and was subsequently banned in May of 2009. The FDA's Warning Letter sounded particularly ominous and stated that "the condemned Formadrol Extreme XL contained ATD and 3,6,17-androstenetrione (also known as "6-OXO"). Both of these substances are steroids that inhibit the activity of the enzyme aromatase and may be found in dietary supplements promoted to boost testosterone levels.."  Earlier in the letter it stated the FDA's reasoning which was that "based on laboratory tests, the FDA determined that the products contain one or more unapproved food additives and/or new dietary ingredients for which there is inadequate information to assure that the ingredients do not present a significant or unreasonable risk of illness or injury." So what are the properties of these new AIs? Are they really permanent and irreversible? 1. They do indeed permanently and irreversibly bind to the aromatase enzyme. However, don't panic if you've taken one of these - I'll explain more below. 3. There are actually two types of aromatase inhbitors. Type I is the irreversible kind, such as Aromasin and 6-OXO, and type II are the classic AI's such as Arimidex and letrozole. 4. Aromasin and 6-OXO are both structurally similar to androstenedione and, therefore, are considered steroids. (You may recall that andro was used by slugger Mark McGwire in the 90's.) The reason for their classification as a steroid is subtle. If you'll recall androstenedione is intermediate in the pathway from pregenenolone to testosterone/estradiol. In fact, it can directly convery to estradiol by acquiring and permanetly binding to the aromatase enzyme. Basically, Aromasin and 6-OXO are slighly modified copies. 5. Although many of your enzymes are permanently inactivated through a suicide inhibitor, it should not mean that your estradiol is permently lowered. The reason is that your body will begin to manufacture new aromatase enzymes after a few weeks. I have read, in non-authority sites, that it generally takes between one to three weeks to recover. 1. Permanent Means Permanent? We had one board member who seemed to have had permanent damage from taking a product with suicide inhibitors. His symptoms of low testosterone starte appearing after he took a testosterone supplement called Arime Stage 5 PCT. This appears to have several suicide inhibitors. One them was Androst 5 and, based on the ingredient label naming, there were a couple more in their as well. Almost 3 months later, this 22-year-old still had estradiol of 6 pg/ml! This is a very low and dangerous level of estradiol and can lead to many issues including bone loss, as I document in my link Do Men Need Estrogen? Now this may be a bad lab read. This man have had some other medical issue that was pushing down his estradiol. But it is very coincidental that immediately after he took this supplement he felt terrible and then his estradiol was in the basement. 3. Untested Supplements. Labs are pumping out these AI's and they are showing up in testosterone and AI-esque supplements. I mentioned a couple above and Arimistane and 6 Bromo are also quie well known. There are a dozen smaller permanent AIs as well. Th problem with all of them is that of the users of these are young bodybuilders and athletes who often do not understand what they taking. And the supplement in this case is certainly not going to say, "This is an irreversible suicide inhibitor that is untested and experimental". 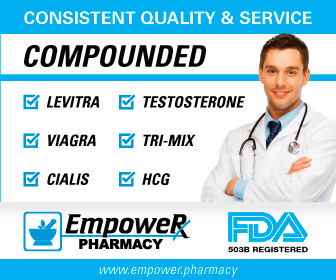 In fact, here is what one of the ads reads: "ArimePCT Stage 5 by EPG was created to suppress estrogen levels while you increase testosterone levels. ArimePCT Stage 5 helps restore your hormonal balance and prevent muscle loss after any testosterone boosting anabolic cycle." This is just too muich temptation for some guys to resist. So what's the harm? Think how powerul these drugs are. They can deactivate one of the most important enzymes in your body. Do they afffect other enzymes? Well, no one knows, because there has been no testing done. For example, Canadian authories reported that one popular supplement containing 6-OXO and a steroid named 1-AT likely caused seizures and clotting in one man. This could be a life-changing event for someone needless to say. Again, these are very synthetic and unnatural compounds and, based on virtually every other pharmaceutical that we know of, they will have some kind of negative impact on health. So, as always, I cannot think of any good reason to try an untested supplement. In addition, some men will use one of these supplement inhibitors and push their estradiol too low. This can cause many side effects from loss of libido to erectile dysfunction and so on. 2) J Clin Endocrinol Metab, 2003 Dec, 88(12):5951-6, "Pharmacokinetics and dose finding of a potent aromatase inhibitor, aromasin (exemestane), in young males"
3) J Clin Pharmacol, 2005 March; 59(3): 355 364, "A predictive model for exemestane pharmacokinetics/pharmacodynamics incorporating the effect of food and formulation"
5) Biol Pharm Bull, 1997 May ,20(5):490-5, "Aromatase inactivation by a suicide substrate, androst-5-ene-4,7,17-trione: the 5beta,6beta-epoxy-19-oxo derivative, as a possible reactive electrophile irreversibly binding to the active site"
7) Clin Drug Investig. 2008;28(10):669-71, "Exemestane-induced subclinical hypothyroidism : a case report"